Afrivista Tours Stellenbosch South Africa .Wine Tours is our speciality! 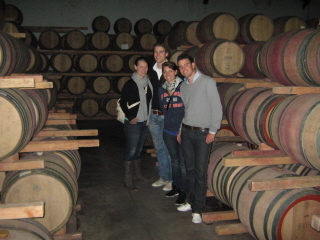 / General Tour Photo Gallery / Tour Action Photo's / Dutchies surrounded by Barrels of wine. Dutchies surrounded by Barrels of wine.